Yesterday my girlfriend gave birth to a very precious baby girl, Sophie. Since this was her second baby instead of a baby shower we threw her a little lunch with friends and gave smaller gifts. 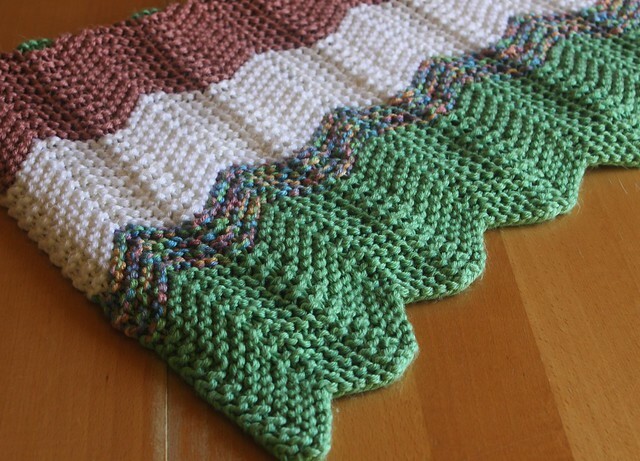 I knit her a chevron strip baby blanket (her toddler son was the recipient of the first baby blanket I ever knit!) 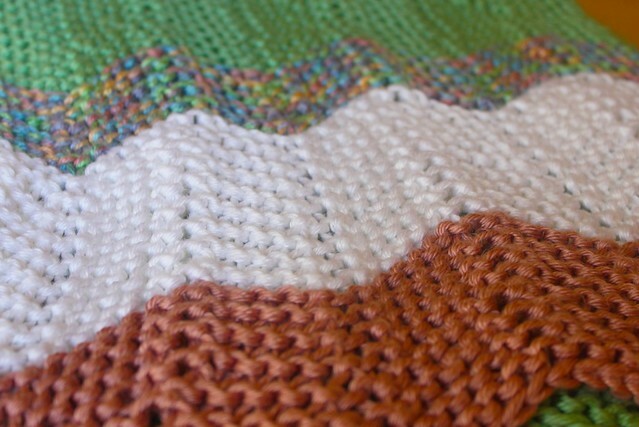 with the colors she requested: pink, green and white and I added a smaller multi-colored stripe to the palette too. I love, love, love knitting baby blankets. Knowing they are keeping someone so precious and tiny snuggly and warm just makes me feel so good. I love it when I see a picture of the baby with the blanket, or when the moms tell me they got compliments while they were out on the blanket too. 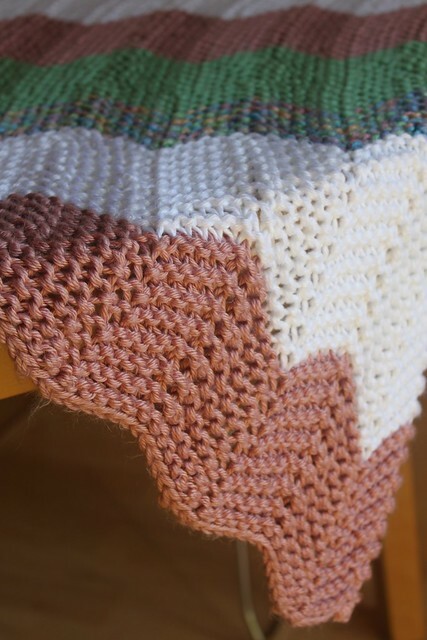 I was challenged with this pattern to use two strands of yarn to knit up a bulkier blanket, I figured if she’s a January baby as cold as it has been she might need the double knit blanket. It was so soft (I used Caron Soft Yarn) that I am tempted to knit one for myself in the future. I plan on knitting this one up again in the next week for a friend’s prematurely born baby boy. The Dad is a huge Brooklyn Nets fan so I’m going with a black, white and grey palette. Now I just need a new baby girl so I can do something bold and fun with pink, orange and yellow! Stay warm this weekend!